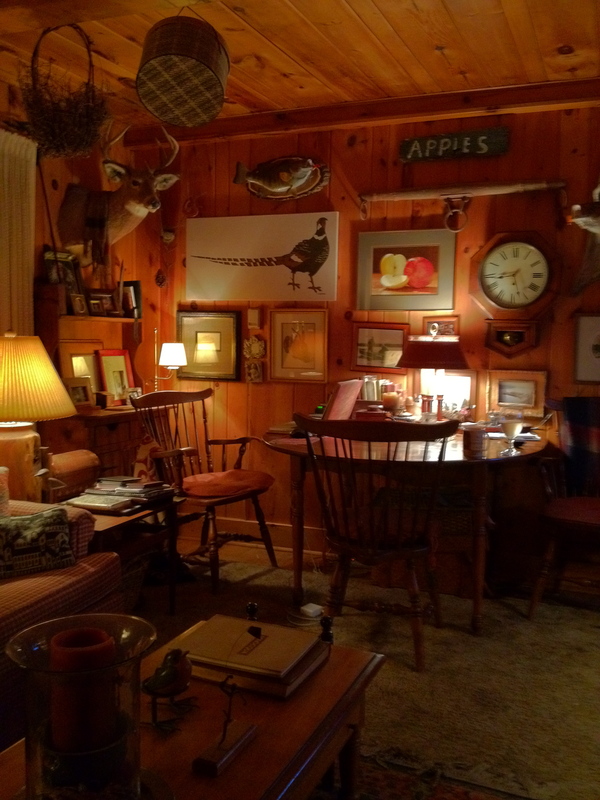 We’ve had our old cabin that was built in 1940, for thirty two years – with few updates since then. My children and grandkids have come and gone already, but I look forward to their return whenever their work, baseball, football, hockey, volleyball and soccer schedules allow. Friends welcome! In the meantime, I get to spend days with my black shadow, Josie, who will be 16 on her next birthday. I was afraid this might be her last summer to wander the woods and swim, but her new arthritis pills hidden in a gooey marshmallow have given her a lift. Literally. Being stone deaf, she can’t tell me when someone turns into our driveway, and we communicate now with sign language and touch, but she’s still one of the sweetest Labs I’ve had. Four years after Bill died, Kathie Lodholz Batsch and her husband George, flew up for a short visit. She was head of our alternative ed department where we worked with at-risk high school kids; also a bright accomplished poet. I loved her gentle manner, wisdom and fierce certainty in dealing with our kids who needed a tough advocate in their lives. Sadly, her years were suddenly cut short by a glioblastoma that robbed her of a happy future with her children and George,the love of her life. 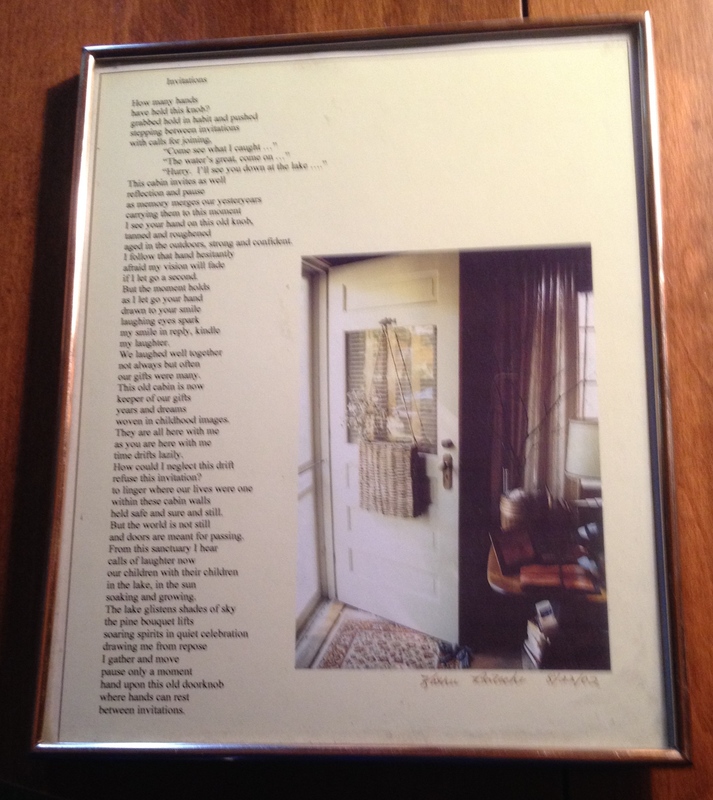 Shortly after their visit, she surprised me with this poem and photo she had taken of the door. 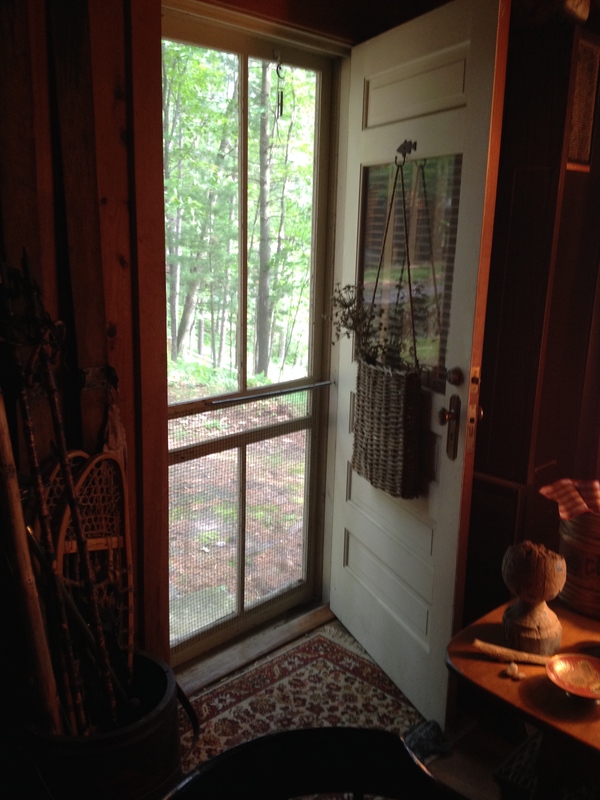 door that leads to the lake. we’ve shared here with family and friends.